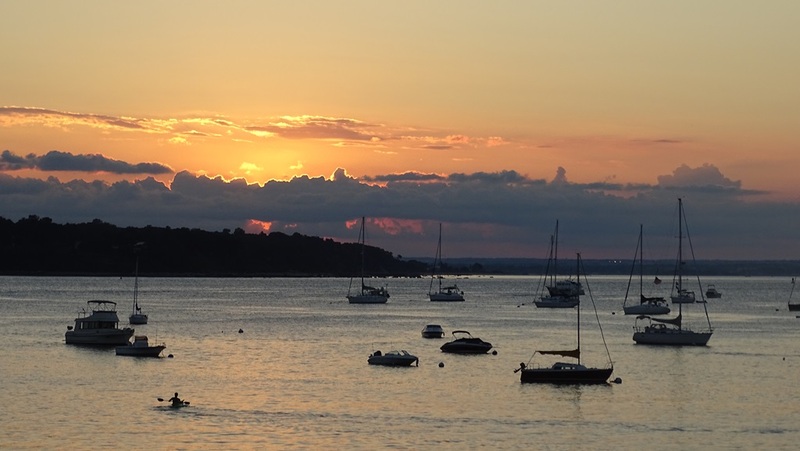 A great time was had by all at Liberty Yacht Club’s Full Moon Rendezvous! 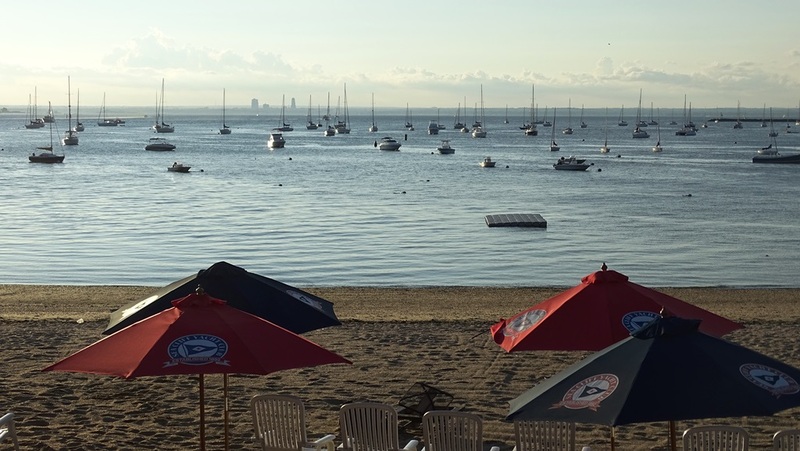 The rendezvous was held on August 20-21, 2016 in Hempstead Harbor on the North Shore of Long Island and LYC members were able to enjoy the hospitality of Sea Cliff Yacht Club which came complete with a pool and a great bar to escape the rain. Thank you again SCYC for your hospitality! And rain there was! 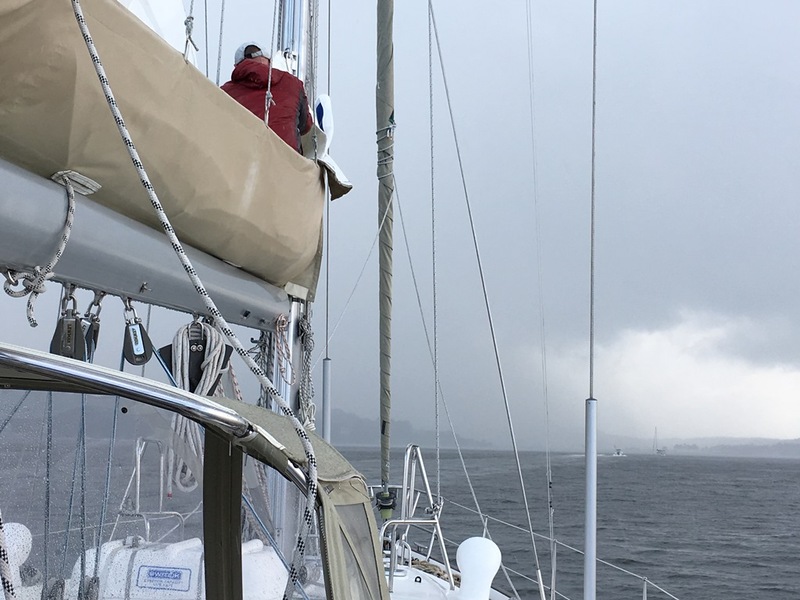 Just as many of us arrived to anchor or grab a mooring ball, the skies opened up and down came the torrential rain. Looking at the radar, it initially looked like a squall line coming through, but alas, that was not the case. It was a series of stationary cells that built up right over the northern edge of Long Island and ended up staying in place for nearly 4 hours. There’s nothing like seeing the rain line quickly approaching as you’re trying to set the anchor or grab a mooring ball. At least the temperature was warm and one can only get so wet! Fortunately, by 4 pm the rain cleared, the sun started to come out of the clouds and the pool (and bar) became a popular destination during the late afternoon heat. It was a great opportunity for members to meet each other, enjoy the sunset and later walk up the hill to the village of Sea Cliff for dinner. For the sailors who participated, heading back on Sunday was a great trip with solid south winds of 15-20 knots. This made for a fast run out of the harbor, before we turned SSW and sailed close-hauled all the way to the Throgs Neck. Rounding the red bell buoy “48” just before the bridge, the final sail became a quick reach all the way to the Brothers. All too soon we had to douse the sails as we headed to Hell Gate and the final run down the East River to Liberty Landing Marina. We’re looking forward to seeing more of our members join us on the next rendezvous!